Unisex t-shirt celebrating the 90′ Bollywood hit movie Dilwale Dulhania Le Jayenge, featuring Shahrukh Khan and Kajol. Available in a number of different sizes. 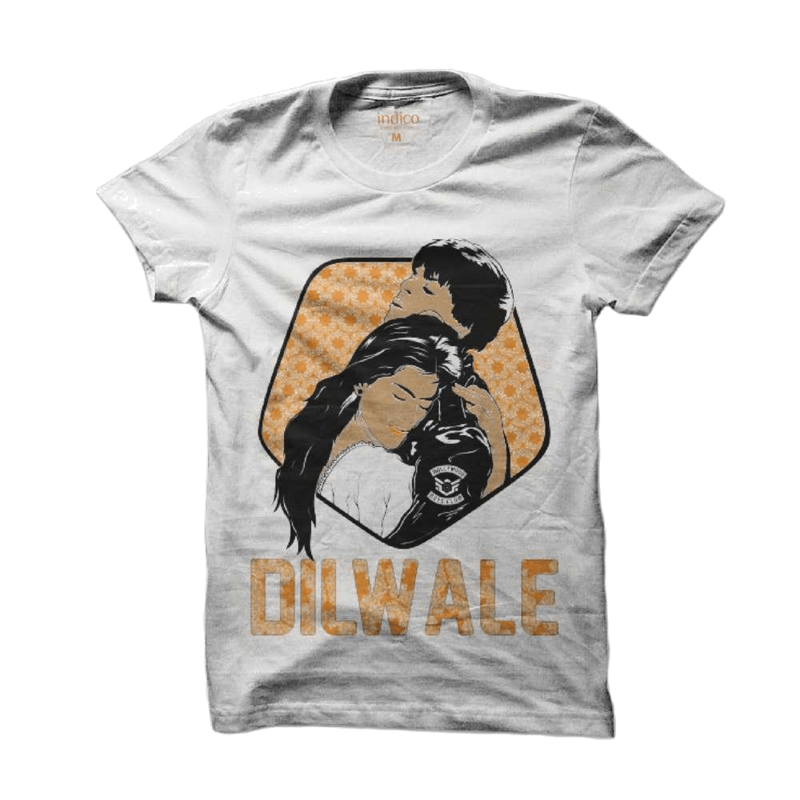 A bespoke cartoon style Dilwale Dulhania Le Jayenge t-shirt. 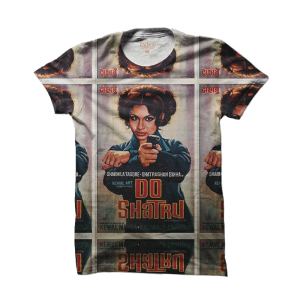 Inspired by an iconic scene from the movie featuring the most Bollywood on-screen duo of Shahrukh Khan and Kajol, this DDLJ t-shirt encapsulates the entire movie in one shot. 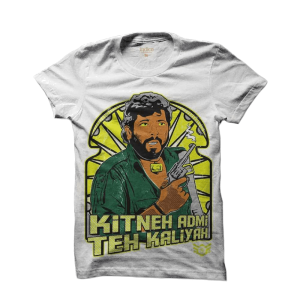 For anyone growing up and watching Bollywood movies in the 90s, this t-shirt is for you.